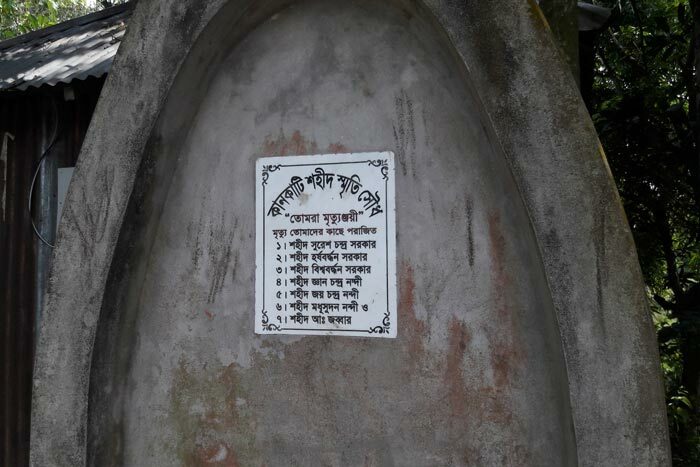 The Pakistani Army and the Rajakars attacked Kankati of Kishoreganj on 11 September 1971. They took away six men of the Hindu community. Abdul Jabbar, a Muslim man, tried to protest and got killed in the very spot. The six abducted men were killed under the Dhuldia Bridge. The Pakistan army killed a lot of men under the Dhuldia Bridge. We have collected the statement of Chan Mia, a witness of the incident that took place on that day.